The Ultimate Guide to Beauty Subscription Boxes! Just as the Web revolutionized the way we shop, so has the introduction of the subscription box trend. A few years ago, some small companies emerged, claiming that they could send you high-end beauty samples or full-size products for a marginally low price — and delivered right to your doorstep! Now, a few years into this subscription box addiction, these small companies have grown dramatically, and various others have caught on and formulated boxes filled with cosmetics, skin care, hair care and more! To make it easy, I rounded up the best beauty boxes so you can find the right one for you. Ipsy was my first subscription box and still remains a favorite! You start by filling out a beauty survey where you get to input your coloring (e.g., eye color and skin color), as well as your preferences for makeup (e.g., if you’re into natural makeup or dramatic smoky eyes). They then curate a glambag especially for you. For a mere $10 per month, you will receive five products, either full-size or deluxe samples (i.e., multi-use samples) in the categories of makeup, hair care, skin care and nail care. Best of all, each month, instead of sending you a cardboard box to just throw away, they send a unique and reusable makeup bag! Plus, all of the brands/products featured often extend discount codes for future purchases, so if you love an item and want to buy it again, you can get some helpful discounts like 20% off, a free item or free shipping. BirchBox was one of the original subscription boxes, offering subscriptions in both the United States and the United Kingdom. For a low price of $10 per month, they will send you four to six sample-sized products in the categories of makeup, skin care, hair care and lifestyle. Like Ipsy, you fill out a survey, which includes personal questions related to your skin tone, as well as preferences about whether you want to receive perfume, nail polish and other lifestyle products like tea and chocolate. They include some well-known and high-end products, as well as some you may never have heard of or used before, which is a good way to learn about new brands and products. My favorite part has to be reviewing the products you receive, as you earn 10 Birchbox points per item, or 50 points per friend referral, which can be used to redeem full-size items from their shop. Vegans, rejoice! There is a specialty box made for you with cruelty-free products. Each month, you will receive four to seven new products to try, ranging from makeup and cosmetics to luxury skin care. Some items are full-size, while others are samples, but they’re all cruelty-free and mostly natural and organic. Petit Vour is another monthly vegan beauty subscription that features 100% vegan/cruelty-free luxury bath-and-beauty products. Each box contains a mixture of four to six sample and full-size items for just $15 a month. Items range from nail polish and lip balm to shampoo and cold-process soap. GlossyBox is definitely a luxury box, filled with well-known and high-end products, and it also introduces new brands in that category. Each month, they will send you five products, usually a combination of full-size and deluxe samples that vary in the categories of makeup, skin care and hair care. With such brands as Fresh, Tarte and Benefit, you’re getting high quality for a reduced price. Plus, if you’re into your skin care regimen, have a focus on anti-aging or spend more time on your skin prep than your makeup, this might be the box for you. Similar to how Ipsy sends a reusable bag, GlossyBox sends gift-like boxes that are perfect for either storing your cosmetics or using to wrap up a present for a friend. Blush Mystery Box is another company that focuses on well-known and high-end brands, and often sends more skin care items than makeup and cosmetics. For $24.95 per month or $34.95 for a one-time buy, you get a black printed drawstring bag filled with five to eight products, often two or three of them being full-size and the rest being samples and deluxe samples. I’ve noticed that they include a lot of creams — including foot cream, hand cream and anti-aging night cream — rather than makeup products, so I would recommend this subscription for someone more concerned about moisturizing and skin condition rather than someone in search of eyeshadows, mascaras and lipsticks. BoxyCharm started out as a drugstore-brand subscription box and has slowly but surely begun to work its way up into the higher-end beauty brand names. Like GlossyBox, they sell subscriptions at $21 per month. How do they give you more value for your money? They tend to send discontinued colors and products, last season’s shades and surplus products. They’re not damaged by any means, but usually available in more stock for lower prices. While they started with brands like Maybelline and CoverGirl, they now have mixed it up to include NARS, Mirabella and SPAritual. 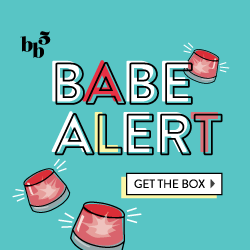 Beauty Box 5 is similar to Birchbox or Ipsy, as they send 5 cosmetic samples right to your door. Aimed at introducing women to new cosmetic products, Beauty Box 5 scours the market to find the best products for your lifestyle. Your beauty box will include a selection of makeup, hair care, skin care, nail care, fragrances and beauty accessories. Beauty Army is another sample-size subscription box. However, every now and then they either get a high-end name product or a full-size product, and you may be lucky enough to get it. Products can include cosmetics, skin care, hair care, beauty tools and teas. Best of all, you can skip one or multiple months if you’re not loving the products or need to budget your money for the month. Yuzen is a spa in a box! This quarterly subscription focuses on the mind, body and soul by including spa-like products that can be used in the bath and shower from bath bombs and soaks to body washes and scrubs. Plus, they often include relaxation items like a roll-on de-stresser, or a candle in a soothing scent. There are always one or two cosmetic beauty items, such as nail polish or lip gloss, plus pampering sweet treats like candies or peanut butter cups! A truly customized makeup subscription service, Wantable has you fill out a complex survey about what you love and hate: products, colors, textures, etc. They then send you four to six products (usually all full-size!) from well-known brands, plus some that may be new to you. The products are almost all makeup — no sunscreen or hair spray here! — and can sometimes include nail polish. They have phenomenal customer service, so if you loathe your entire box, you can send it back and they will either refund you or send you a new one. This started as a box dedicated to those who wanted a beauty box focused on lip beauty products. For $22 per month, you will receive a monthly Lip Factory Beauty Kit containing five to seven of your favorite makeup brands, in full-size and deluxe sample sizes. Although your kit may include other products, like eyeliner and blush, the focus is on your lips! Created by BeautyBar.com and Allure magazine, Sample Society sends out a box filled with five sample-size high-end products. These deluxe samples are supposed to last more than one use and include brands like Alterna, Diptyque, Dermalogica and By Terry. Plus, you get a $15 monthly gift code to redeem on a $50 purchase — when any product from the brands you sampled is included in your order — and a mini magazine filled with tips from Allure editors. It’s hard to name which one is the “best” or the most bang for your buck because everyone is so different in terms of what they’re looking for. Sure, if you want more anti-aging serums and lotions, I would recommend Blush Mystery Box. For a glamour makeup girl who’s not afraid of some bold pink lipsticks and purple nail polishes and is on a budget? Opt for Ipsy. High-end designer products are a must? GlossyBox or Wantable might be the right choice for you. Although each of these are subscription services, you have the option to try them out for a month, and if you find they aren’t the right fit for you, you can call or email them to cancel any future charges (based on their billing schedules). Or if you find that you love one of the boxes, they often offer discounted rates for signing up for multiple months and paying upfront. Best of all, these make great gifts, and you can usually gift one-, three-, six- or 12-month subscriptions to anyone, whether it’s your daughter, sister, coworker or friend.